We take pride in the fact that BYO Playground is one of the oldest and largest nationwide distributors of playground equipment in the United States. Our goal is for you to have access to a safe, affordable, and fun playground for your children and your facility. For that reason, we ship nationwide from our St. Augustine, Florida location directly to you, no matter where you’re at in the country! You’ll find that every piece of playground equipment we offer is made in the USA, innovative, has high quality so that you get the best bang for your buck and the safest equipment for your playground installations! With BYO, you’ll receive fast and convenient nationwide playground installation through our brand, the National Playground Construction (NPC) installation company. NPC is a licensed Certified General Contractor (CGC), and all of the NPC installers are Certified Playground Safety Inspector (CPSI) professionals. 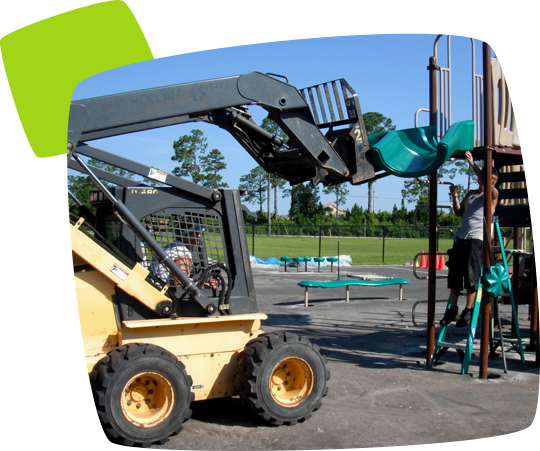 Our playground equipment requires some heavy lifting tools that you may not have. You’ll need special equipment designed to install the poured-in-place surfacing as well. That’s why you need us to provide a certified and safe playground installation! 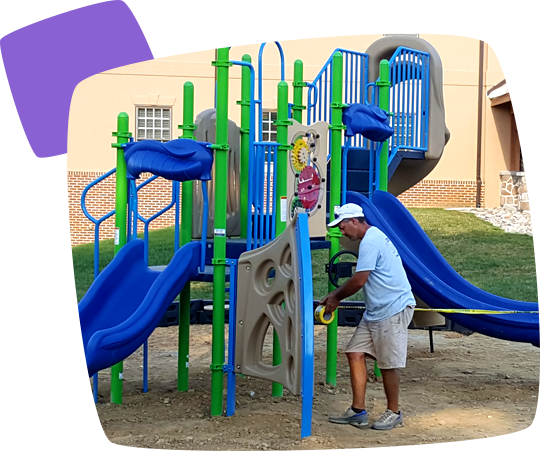 Our team will verify that every playground installation is done correctly and fast by giving every play piece special attention during the installation process! You’ll be stress-free and confident that your children are playing on a safe playground! Throughout the collective thousands of recreation projects done across the nation, our team of certified professionals has managed each playground installation project closely and thoroughly to verify that each part of the playground structure is installed correctly and accurately for you. Your top priority is safety, and we guarantee that our playground installations are professionally installed! BYO Recreation has a service for any playground or recreation need. We're your one-stop playground and recreation services resource for your entire facility or community. Whether it's funding, planning, design, or nationwide sales; BYO Recreation is with you step-by-step, from start to finish. Start planning today and find a playground service that's tailored to you. Excited to get your new playground up and ready to play on? We are too! You won’t have to worry about putting your new playground together on your own, though. BYO Playground is here to ensure that your playground is safe and ready to use for your children by providing our fast, convenient, and frequently <strong>managed Playground Installation Services</strong>!